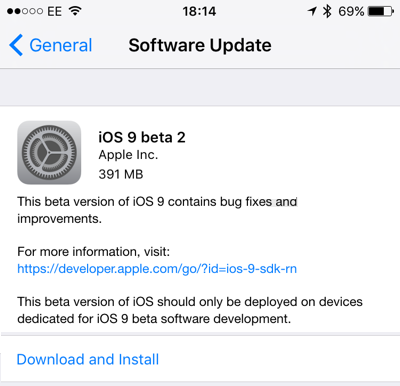 The second pre-release beta version of iOS 9 Firmware has been officially seeded by Apple to iOS developers and non-developers (general public users). Apple iOS 9 Beta 2 (Build: 13A4280e) Firmware and Xcode 7 Beta 2 (Build: 7A121l) Software updates are instantly available for upgradation and installation. The Direct Download Links of iOS 9 Beta 2 Firmware .IPSW Files for iPhone 6 Plus, iPhone 6, iPhone 5S, iPhone 5C, iPhone 5, iPhone 4S, iPod Touch 5G, iPad Air 2 6G, iPad Air 5G, iPad 4G, iPad 3G, iPad 2G, iPad Mini 3, iPad Mini 2 and iPad Mini are posted below. 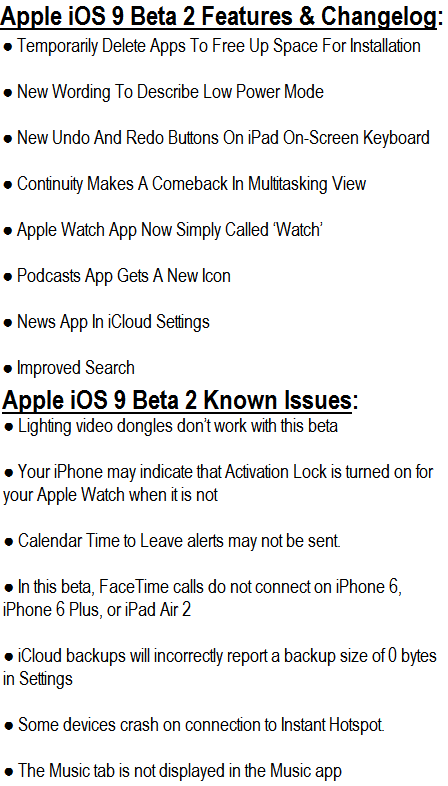 The latest iOS 9 Beta 2 (13A4280e) Update changelog includes below mentioned features and functionalities changes. The newest Xcode 7.0 Beta 2 (7A121l) Update release notes includes; iOS 9 Beta 2 SDK, Mac OS X El Capitan 10.11 Beta 2 SDK, Apple WatchOS 2.0 Beta 2 SDK and several other tools. 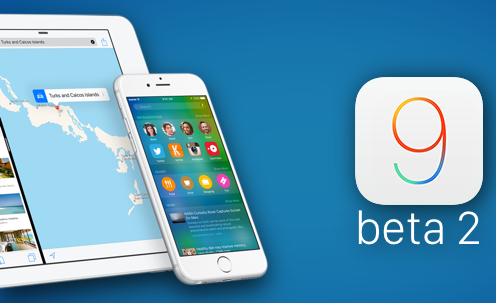 How to Install iOS 9 Beta 2? For iOS 9 Beta 2 OTA Update (Over-the-Air), navigate to Settings > General > Software Update option. All iOS developers can go to iOS Dev Center website for official iOS 9 Beta 2 Download Links. All iOS non-developers can manually install and activate iOS 9 Beta 2 without UDID developer account for Free using iTunes. Download iOS 9 Beta 2 IPSW Firmware for iPhone, iPad and iPod Touch via Direct Links and Torrent Links. How to Jailbreak iOS 9 Beta 2? No official Untethered iOS 9 Beta 2 Jailbreak is supported by TaiG, PanGu and 25PP Jailbreak Tools.